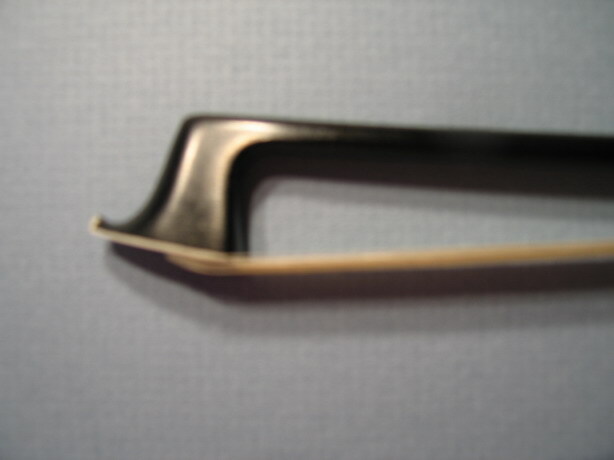 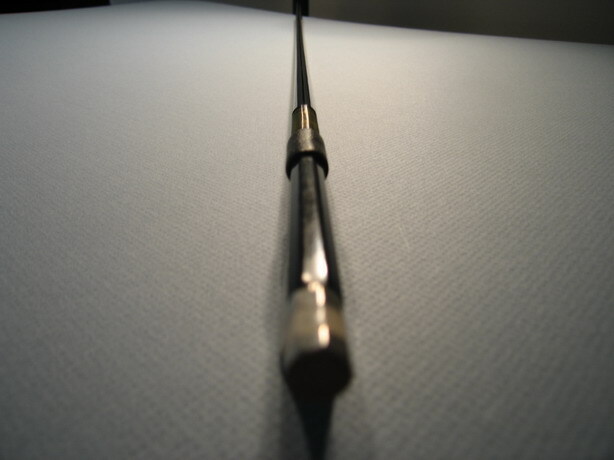 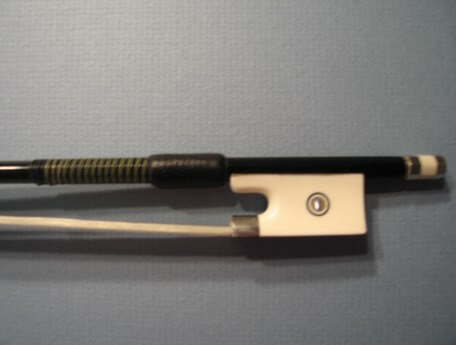 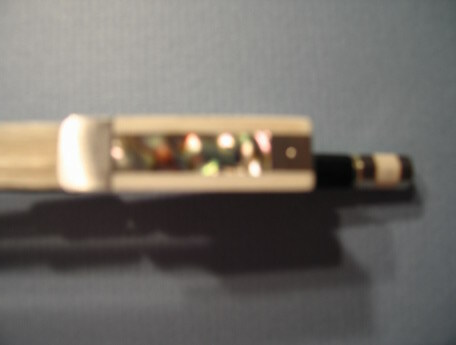 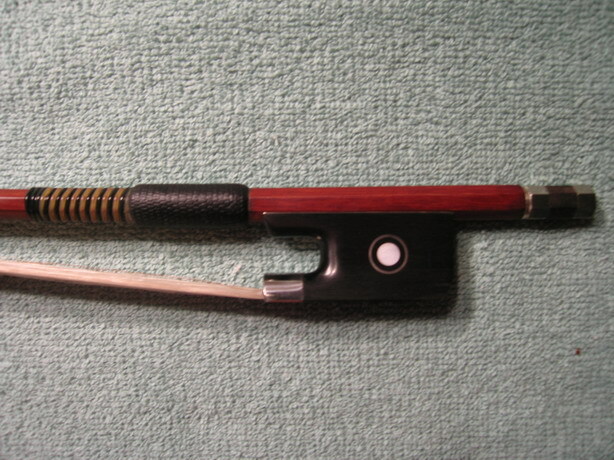 Exceptional and fine violin bow, carbon fiber stick, ivory like frog. 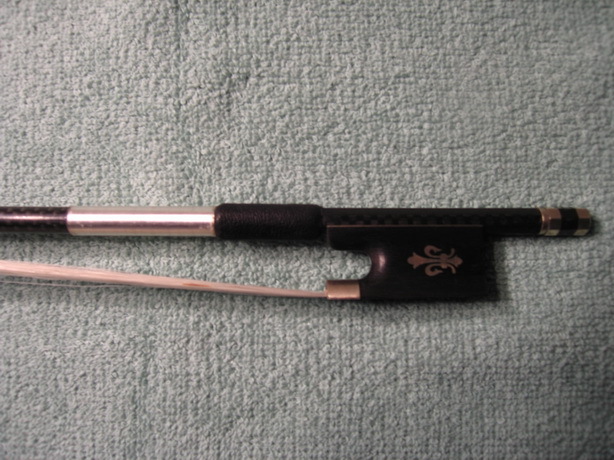 * Ivory like frog, three part screw, nickel silver alloy mounted. 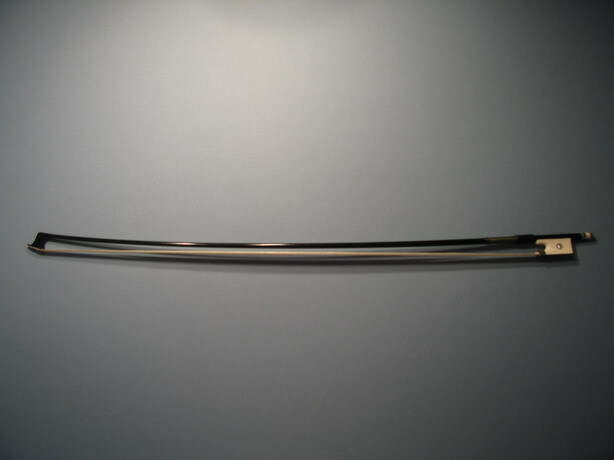 * Weight: 60 grams Length: 29 3/8 inches.